Talented young Australian racing car driver Matt Campbell is the latest addition to what is already a strong line-up for the Competition Motorsports entry in the upcoming Liqui-Moly Bathurst 12 hour. The 21-year-old is regarded as one of Australian Motorsport’s hottest properties, backed up by recent confirmation that he will be joining defending Supercars Champion Shane Van Gisbergen at Triple Eight Race Engineering for this year’s Pirtek Enduro Cup. Campbell will drive alongside experienced Porsche driver Marc Lieb, three-time American Le Mans Series driver’s champion Patrick Long and David Calvert-Jones who has competed in a Porsche at the Bathurst 12 hour for the past four years. “Matt (Campbell) is super talented, super fast and it is great that he has become available at the last minute to strengthen what is already a very strong line up in the Pro/AM class,” Calvert-Jones said. By the age of 16 he was Queensland State Champion for Super Sprints and second in the Queensland Formula Ford Championship. 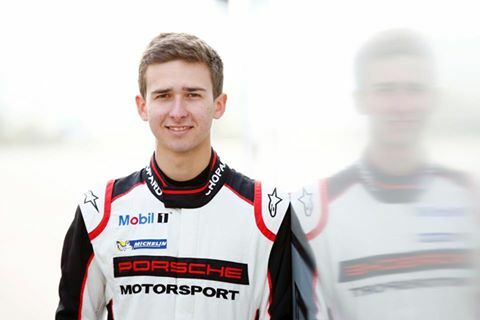 In 2014 he was the recipient of the Will Power Young Achiever of the Year Award, held the Lap Record at Phillip Island for the Porsche GT3 Cup Challenge and was awarded the Pirelli Performer of the Year Award. More recently he was announced the winner of the Porsche Junior Program Shootout from a group of nine youngsters who tested at the Lausitzring, Germany. The prize consisted of 200,000 Euros towards a Supercup seat, as well as training and mentorship from the program’s driver coach and former Porsche champion, Sascha Maassen. Campbell said he is excited about the opportunity to be part of such a professional outfit for an endurance event like the Bathurst 12 hour. “I can’t wait to be able to race at the iconic Mount Panorama circuit with the calibre of talent that Competition Motorsports has been able to put together,” Campbell said. “It is a great honour for me to be part of the Porsche family and I have been very fortunate to be given some fantastic opportunities that have allowed me to progress my career year on year. Competition Motorsports has joined world renowned Porsche works drivers with experienced German engineer Stefan Pfeiffer who will also be part of the team for the event. Pfeiffer has a long history with Porsche factory driver Patrick Long, first finding success together with Petersen Motorsports/White Lightning Racing at the 24 Hours of Le Mans and winning numerous American Le Mans Series GT2 titles together. The team will be supported by Australian Porsche specialist team McElrea Racing and Porsche Motorsport North America (PMNA) and along with sponsors Ice Break Iced Coffee and Virgin Australia, will also have support from social media orientated gifting app Whilo and Los Angeles based racing simulator manufacturer CXC Simulations. Virgin Australia have recently announced they will operate a special flight between Sydney and Bathurst for fans to join an exclusive day-trip to the Liqui-Moly Bathurst 12 hour race. The flight departs on 5th February 2017 at 7.30am and will return the same day following the conclusion of the race at 9pm. Virgin Australia Holidays is offering three travel packages for fans which include flights and transfers to the famous Mt Panorama race track.